The Senior Department has three class groups located at the top of the school near Oakview. The senior classrooms are spacious and provide opportunities for creative activities and personal space. All senior classes participate in a comprehensive curriculum preparing them academically, emotionally and socially for their movement to the next phase of their education. There is a solid transition program for Year 6 students to help ensure a smooth move to secondary schools in the district. Students work within a range of groupings, as well as individual and whole class instruction for structured Reading, Spelling, Writing and Numeracy lessons. These are designed to extend all students’ knowledge of the various disciplines. They also experience working in different environments with different teachers as well as their home group teacher. Students also have access to a range of special programs including the Arts, LOTE (French), Physical Education, Stephanie Alexander Kitchen Garden and Chess. They also participate in a broad scope of extra-curricular activities including Interschool and Intra-school Sports, Swimming, Preparation for Puberty, First Aid, Bike Education and Social/Emotional Well-Being programs. Students have access to a ‘one-to-one’ reading program with individual volunteer tutors as needed. We encourage leadership skills with our students electing School Captains and House Captains. 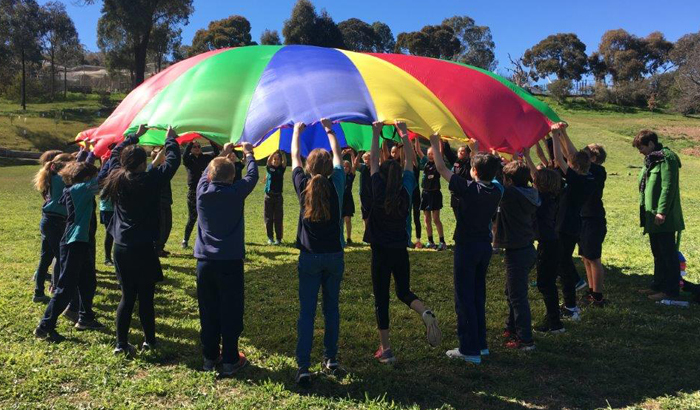 Students are involved in a range of extra activities increasing their community interactions and extending their communication skills. All senior students are also involved in a Cobbers program in which each class group is matched with a Prep/One class group for activities that develop interaction and communication skills while mentoring a younger student.